The last two months of last year (2017) showed that mobile-savvy millennials shopped online and availed of cashless payment options to get their holiday shopping done. This behavior, spurred by sales and promos from digital companies, was gleaned from data generated by various platforms of Voyager Innovations, digital innovations arm of PLDT and Smart Communications. This aligns with Voyager’s goal to provide financial and digital inclusion to more Filipinos. Part of that goal is PayMaya, the first prepaid online payment app (a mobile wallet) that allows anyone without a credit card to make online transactions. The number of unique PayMaya users who transacted online from November to December 2017 jumped three-fold compared to same period last year. Meanwhile, PayMaya’s Single’s Day event in November 2017 resulted in record-high transaction volumes for Takatack, Voyager’s eCommerce platform. Both trends suggest that more Filipinos are getting comfortable in online and mobile app-enabled avenues as a way to do their shopping. He added that online transactions recorded by PayMaya account holders further increased when different online marketplaces (such as Lazada, Zalora and Takatack) launched their big online sales in November and December. In these sales, PayMaya also gave its account holders an added exclusive 20% discount. PayMaya data also showed that from November to December 2017, online transactions via retail merchants such as Lazada topped the list for PayMaya account holders. According to Azzola, the steadily growing use of cashless payments methods in online retail sites suggests a shift of the behavior of consumers, who use alternatives such as PayMaya for their purchases, despite the availability of cash-on-delivery. Eight of the top ten products ordered through Takatack, Voyager’s online shopping marketplace, belonged to the electronic product category. 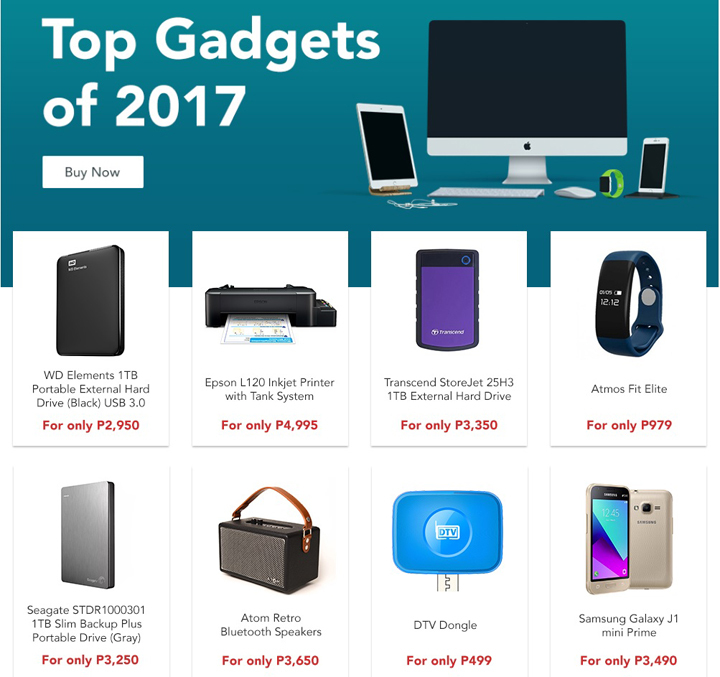 Power banks, external hard drives, Bluetooth speakers, and smart watches topped the shopping list of consumers. 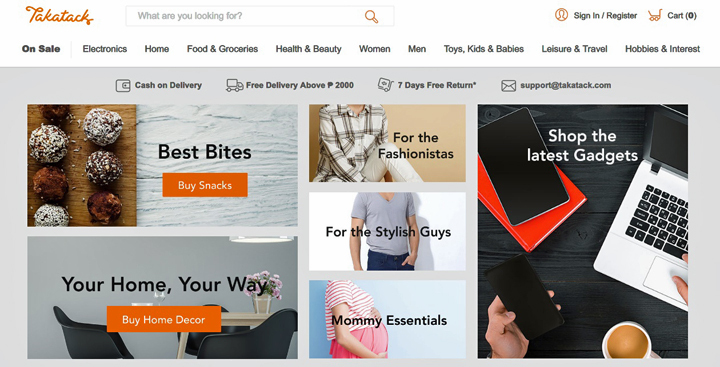 “We are seeing encouraging results as more Filipinos go online to shop, especially during special seasons. This trend has translated to record-high transaction volumes at Takatack particularly during the Singles’ Day event in November, and we expect it to continue as we move on to 2018,” explained Marc Concio, Head for Digital Commerce at Voyager Innovations. Filipinos’ adoption of digital payments and commerce has increased in the last two years, since the introduction (and regulation by the Banko Sentral ng Pilipinas) of prepaid e-wallets (digital wallets) such as PayMaya, the first prepaid online payment app (it’s free) that allows anyone without a credit card to make online transactions. Digital wallets encourage financial inclusion since anyone with a mobile phone in the Philippines can create an account and use it for pay for online purchases up to a certain amount limit. Prior to digital wallets, the options for online transactions were credit cards (whose application process may be tedious), debit cards (which required opening a bank account), or cash on delivery (which now competes with the convenience of cashless payment options). 99% of all payment transactions in the Philippines are still done via cash, while electronic payments by businesses and individuals account for 1% and 0.3%, respectively. These are the latest available data from Better than Cash Alliance as of 2013. Whilee these figures most likely have grown over the past year, stepping up digital payments adoption in the Philippines is the goal of Voyager Innovation. The National Retail Payment System initiative led by the BSP, and supported by banks and e-money issuers like PayMaya, aims to increase cashless transactions to 20% of the total volume of payment transactions by 2020. Find out more about PayMaya here. Meanwhile, take a look at what’s available on sale at Takatack.